KAMPALA, Uganda (AP) — An aid group says about 60,000 Congolese have fled to Uganda after a rebel attack on a town by the border, stretching humanitarian capacities. Catherine Ntabadde of the Uganda Red Cross said Sunday that her organization had already registered 41,000 refugees and that 20,000 more are yet to be registered. The refugee influx continues three days after a Ugandan-led rebel group attacked the Kamango town and killed some people on Thursday, according to Ugandan military officials. That group —the Allied Democratic Forces —had been hibernating in the jungles of eastern Congo for years since a military assault ousted it from Ugandan territory. It was formed in the early 1990s by Ugandan Muslims who want to install Shariah law in Uganda and who staged deadly terrorist attacks in the 1990s. Thousands of people have fled the Democratic Republic of Congo after a group of Ugandan rebels attacked a border town, aid workers say. The Allied Democratic Forces raided the town of Kamango on Thursday, according to the Ugandan army spokesman. At least 18,000 people have crossed into Uganda, the Red Cross has said. The ADF is based in mineral-rich eastern DR Congo, where numerous armed groups have caused havoc over the past two decades. Uganda army spokesman Lt Col Paddy Ankunda told the AP news agency that some people had been killed in the attack but did not give any further details. The rebels kidnapped some people, including a local chief, as they withdrew from the town, local media report. The ADF was formed in 1996 by a puritanical Muslim sect in the Ruwenzori mountains of western Uganda. In 1998 it increased its activities and a number of bomb blasts in markets and restaurants in Kampala were blamed on the group. After years of sporadic raids, the Ugandan army almost destroyed the ADF’s capacity in 2004 and it moved into DR Congo. However, a United Nations report last year said the rebels had expanded their military capacity and established links with Somalia’s al-Shabab militants. More than 30,000 people have fled their homes in the Democratic Republic of Congo (DRC) and crossed into neighbouring Uganda after a rebel group that had been hiding out in eastern Congo attacked a town. Families streamed across a bridge over a river near the border, clutching belongings. Some carried firewood over their heads, many brought livestock and women held small babies. Al Jazeera’s Malcolm Webb, reporting from the Ugandan side of the border on Friday, said people were so desperate to escape that some ignored the bridge and waded through the river. 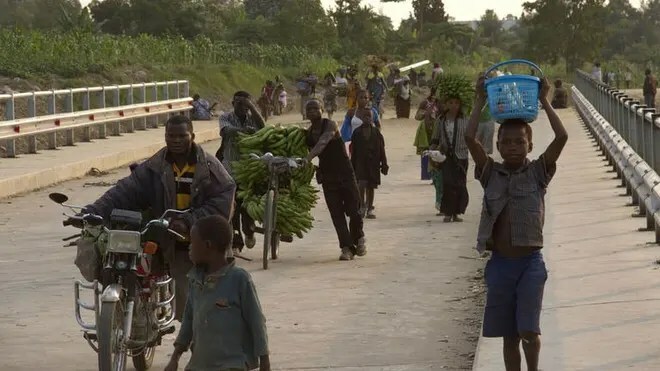 BUNDIBUGYO, Uganda (AFP) – More than 55,000 refugees from eastern Democratic Republic of Congo have arrived in Uganda after fleeing a rebel attack, Red Cross officials said on Sunday, a dramatic rise from earlier estimates. 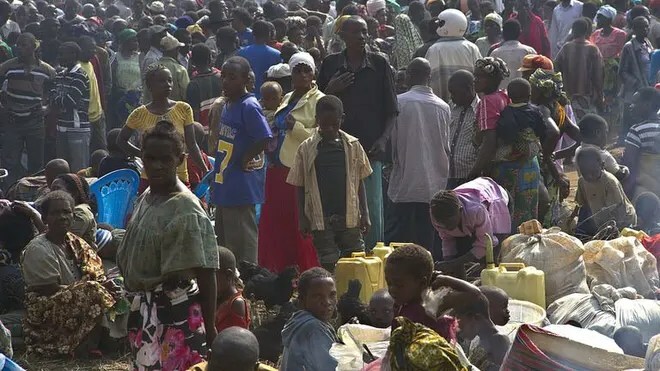 “Given such numbers there is need for urgent humanitarian assistance, as some of the refugees are sick and have left all their belongings in Congo,” Uganda Red Cross official Catherine Ntabadde told AFP.